Solar panel absorbs rays from the sun, which in turn make electricity and heating available. Using solar energy has a positive impact on the environment. It does not produce air and water pollution. Additionally, it does not require the other environment sources to generate the power. It is not surprising that technology has transformed our way of living. Solar panels being one of the best suppliers of power, people use it for their electrical appliances. It has gained popularity because of its efficiency. If you are installing a solar panel choosing anyone from the market is your foolishness. They should be qualified and certified. This will help in error-free installation and prevent you from future problems. You should know in advance about the solar contractor you are dealing with. It is better to choose one of the reputed companies having a lot of experience in the related field. When investing such a big amount you should make sure if your equipment is up to date. It is better to investigate about the manufacturers. Installing a solar panel involves a huge investment, so it is recommended to pay more to get the best product. Choosing the lowest price product may cost you more in future so you should think before making any decision. There are a number of installers in the market. It is beneficial, if you keep three alternatives and compare their prices and services. Choose the best one. Ask for a home visit for the roof inspection and take advice from them. You should know beforehand about the aftercare services offered by them. Before making a wise decision, ask for the customers references from your company. And it is helpful if you consult and take advice from your friends, family, and neighbors. Make sure your quotation is written down. Failure in completing your paperwork may create future complications. You should know what you want as you get products with different sizes and shapes. Understand the variations you can get from a solar panel and choose the best size that fits your requirements. 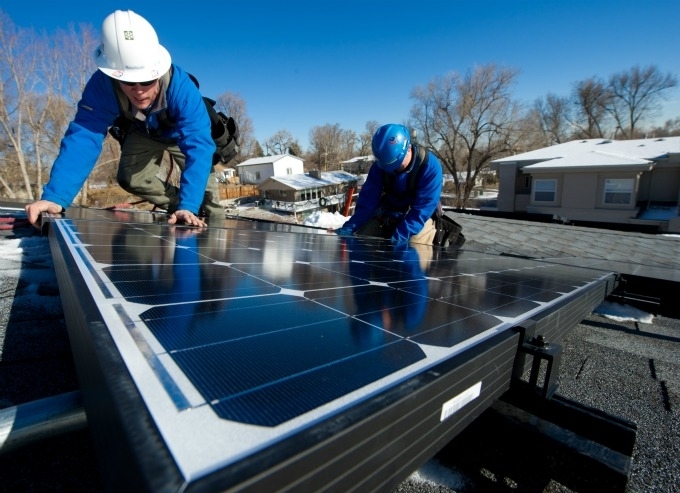 It is one of the important tasks of selecting a solar panel contractor. It sounds suspicious if your contractor is not offering you to monitor the system. It is always recommended to choose the contractor who offers it. Making decisions for installing your solar panel is not enough; you need to evaluate the alternatives available in the market. Thus, you need to hire a reputed and an experienced installer to avoid upcoming troubles.